← Anarchists VS The Alternative Right & President Donald Trump. Who will decide the fate of America? [CALIFORNIA] August 12, 2017. Today, white racist men and women took to the streets of Charlottesville, Virginia. Some carried Nazi flags and dozens of white males loudly chanted “blood and soil” a Nazi slogan. 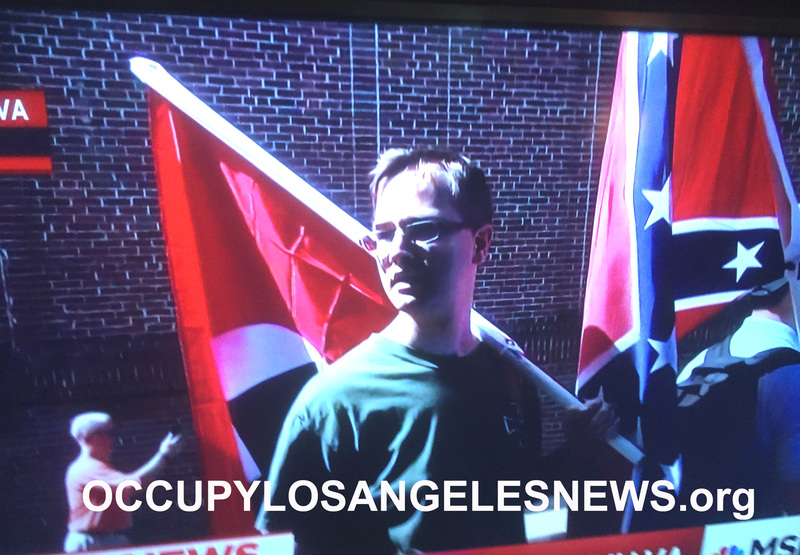 CNN interviewed witnesses who said a “white male” driving a “Dodge Charger” plowed into a group of anti-Nazi and “anti-fascists” counter protestors. The mayor of the city later tweeted one individual died from that attack which is now being labeled a “domestic terrorist” act. Another CNN witness, Chris Mahony, said the terrorist’s “car just plowed into a whole lot of people.” Likewise another witness, Brennan Gilmore said “a group of people were peacefully protesting” and “a domestic terrorist” ran them over. The President of The United States Donald J. Trump refused to use the word “white supremacy” or “domestic terrorist”. In an awkward statement at a veteran’s bill signing ceremony Trump boasted about the “stock market” and praised a company named “Fox Conn” who he claims is one of “so many other” foreign companies “pouring into our country”. Haphazardly referencing Charlottesville’s domestic terror event, Trump said he is opposed to “the violence on many sides. Many sides.” His remarks were almost immediately condemned on Twitter and other social media sites. 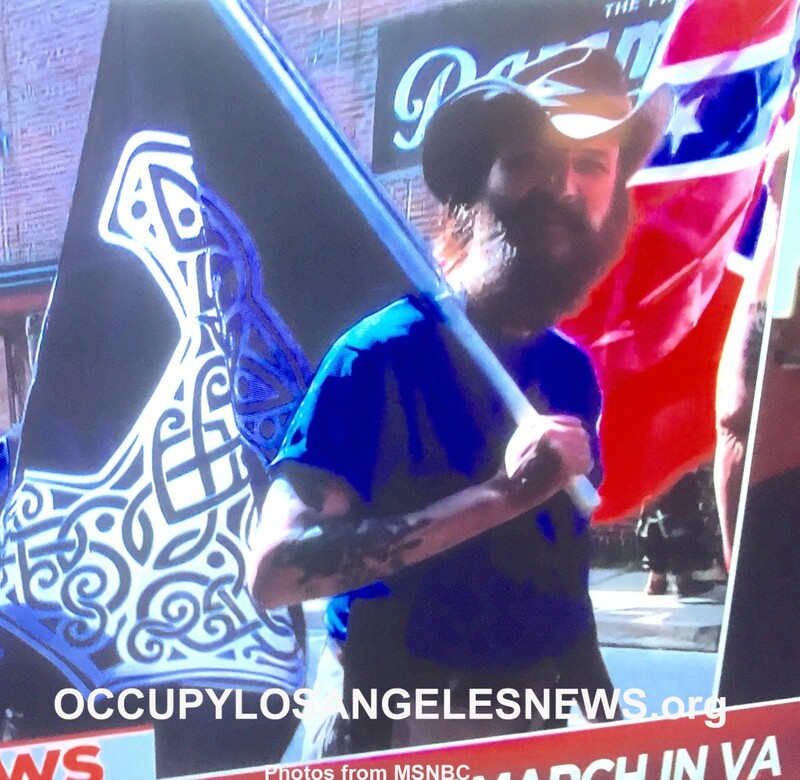 This entry was posted in Cataloged Recent Posts, Occupy Local News, Occupy National News and tagged racists, Virginia, White Supremacists Domestic Terror. Bookmark the permalink.